Get the Full StoryUFC president Dana White praised middleweight contender Paulo Costa after his TKO win over Uriah Hall last weekend at UFC 226. 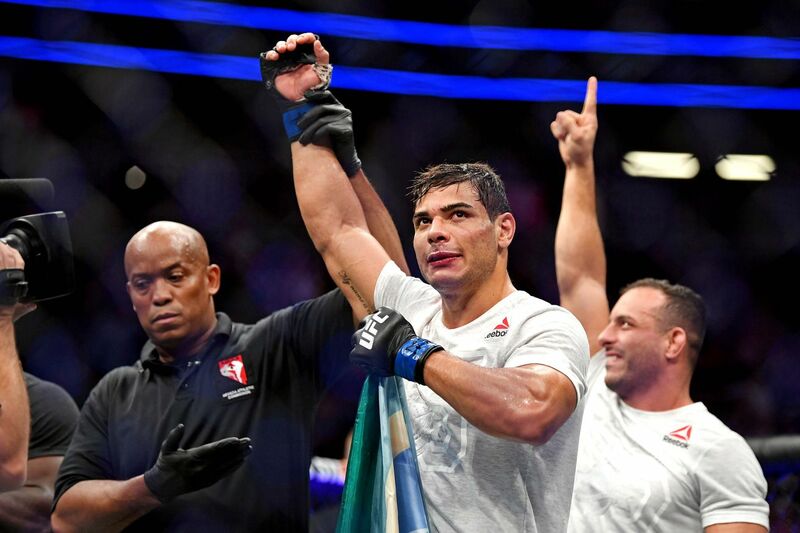 Paulo Costa is making waves in the UFC middleweight division. The Brazilian defeated Uriah Hall with a second-round TKO at UFC 226 in the featured preliminary bout last Saturday at T-Mobile Arena in Las Vegas most would consider it the biggest win of his career. One of the many people he has impressed over the course of his undefeated run in the Octagon is UFC president Dana White, who expects to headline a card with Costa sooner than later. I think that that kid is the next big Brazilian star, White said at the UFC 226 post-fight press conference. He s on his way. Good looking, incredible physique, and fights like an animal. White also praised Costa s opponent, Hall, for hanging in there and throwing back for as long as he could. The guy that I thought Uriah Hall was gonna be at the end of The Ultimate Fighter was the guy that I saw fight tonight, White said. He fought an incredible fight tonight. He was in his face. Every time he d get hit, he d punch back with two or three punches, kicks. It was awesome. Costa, who also holds a win over former welterweight champion Johny Hendricks, could possibly compete in his first UFC main event Sept. 22 at a UFC Fight Night event in Sao Paulo, Brazil. Timing-wise, it seems to make sense, and no bouts have been announced for the card. Now it s just a matter of finding The Eraser a suitable opponent. Rising middleweight Israel Adesanya, who won the night before in The Ultimate Fighter 27 Finale main event against Brad Tavares, has expressed interest in meeting Costa in the near future. However, Costa, when asked about The Last Style Bender, says he doesn t know who he is. Costa said after his Hall win that he wants to next face former 185-pound king Chris Weidman.